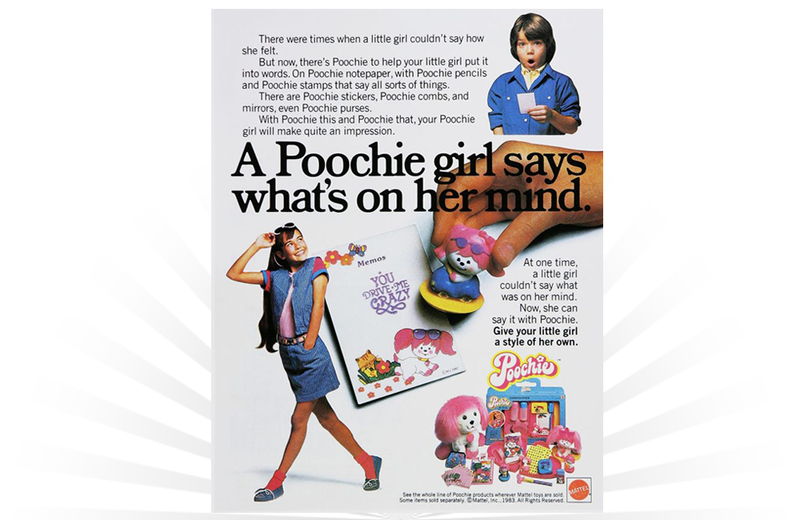 Released in 1983 by Mattel, Poochie was a plush stuffed animal with sassitude. Poochie’s advertising focused on helping young girls find a voice and speak their minds. Poochie was decked out with pink ears, paws, and tail. Her accessories included a pair of purple sunglasses and a heart-shaped tag inscribed with her name. Poochie served as the focal point for a line of products that included activity sets, stamps, stationery, and other accessories. "How you spin is up to you!" Get ready for real action with Chopper Chase, the motorcycle hill race game!